Dash! Darkcoin! XCoin, different names, same cryptocurrency. Released in January 2014 as XCoin (XCO), within a few days the name of this cryptocurrency was changed to Darkcoin (DRK). 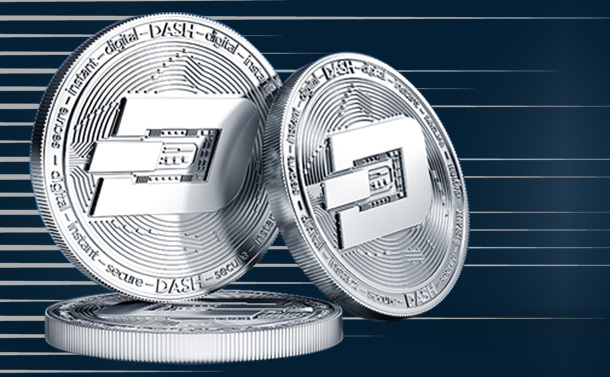 The coin was again rebranded as Dash (DSH) in March 2015. An open source, peer to peer cryptocurrency, Dash was created to address the issue of lack of anonymity prevalent in many cryptocurrencies such as Bitcoin. The developer of Dash Evan Duffield, was impressed by the Bitcoin since its inception in 2010. However, he realized that one of the fundamental flaws of the much famous cryptocurrency were lack of anonymity and speed. Which is when he introduced it as XCoin/Darkcoin/Dash. Dash stands for Digital Cash. Masternodes: Bitcoin uses single tier network and to the same, Dash has added another tier, making it a two-tier network. The functioning of the first tier is the same as the former, that is after finding the blocks miners incorporate their transactions on the Blockchain. The second tier that has been added is made of special servers by the name, Masternodes. The second-tier has some more features, such as instant and private transactions, and also decentralized governance and budgeting. InstantSend and PrivateSend: Using InstantSend, Dash investors can send their payments for confirmation instantly. The fact that the transactions can be confirmed instantly make it a popular choice. As the name suggests, PrivateSend feature addresses the anonymity issue missing in many cryptocurrencies. Users of dash cash can anonymously make transactions. The transaction made is combined with the other anonymous payments making it next to impossible to trace the origin and where it is being sent. Decentralized: Simply put, this feature establishes the popularity and majority of the entire block. The treasury system it has created awards miners profits. 10% of the profits that Dash generates go to its treasury. This helps in funding the future projects of dash. Wallet: They have their wallets that are available for different versions of desktops and mobiles. For those who are not comfortable with the idea of having wallets on their smartphone or desktop, they can go in for hardware wallets and paper wallet that will protect it from hackers and thieves. Dash has come a long way since it was first introduced 8 years back. In fact for sometime it became a popular choice of transaction in the dark web market because of the anonymity of transactions. Of course for sure the intent of the developer of Dash, was definitely not to encourage such transactions and probably that is why the name was changed from Darkcoin to Dash within a year. Well! For that matter, when the first few cryptocurrencies were introduced, even they attracted quiet some attention from the dark web market so to only pin pointing Dash would be unfair. With features like anonymity, speed, low transaction fee and an active community Dash seems to be one of the most promising cryptocurrencies in 2018. Do keep a watch on this one!